Its Friday!! We hope you are all looking forward to a great weekend ahead! What better way to round up the week than to receive a lovely review on the Baby Kingdom collection! 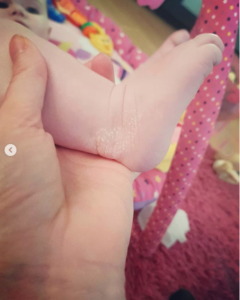 Baby Kingdom sent Kelly from @mrsb_2b a set of the Baby Kingdom collection to try on her daughters, read on to hear what Kelly had to say about the products……. Baby B loves bath time and she’s a little water baby. 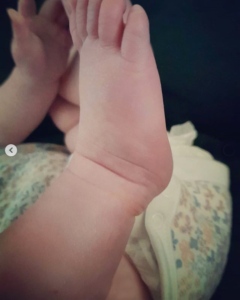 Since she was born she’s had dry skin mainly on her creases (ankles and wrists) I’ve tried many baby brands out there but it always comes back. I wanted something that is dermatologically tested and #hypoallergenic because my other daughter has eczema so I didn’t want to be buying product after product and nothing to work. I came across a company called @bkcollectionuk and got in touch with a lovely lady called Caroline. We got talking as she’s made her brand to suit her children’s needs too. All the products that I’ve listed above come in a dispenser so there very practical and you don’t have to mess around screwing lids on and off especially if you’ve more than one child to attend to. So it makes bathing 2 children much easier and you don’t need a lot of the product as a little goes along way.